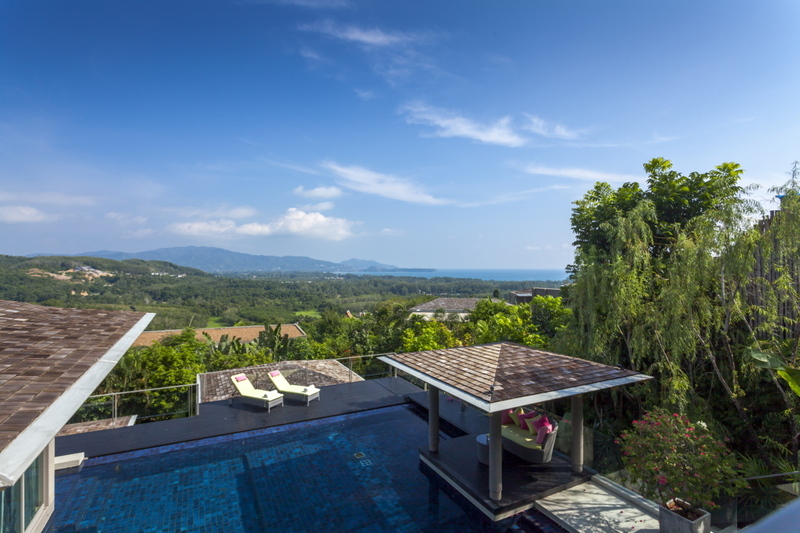 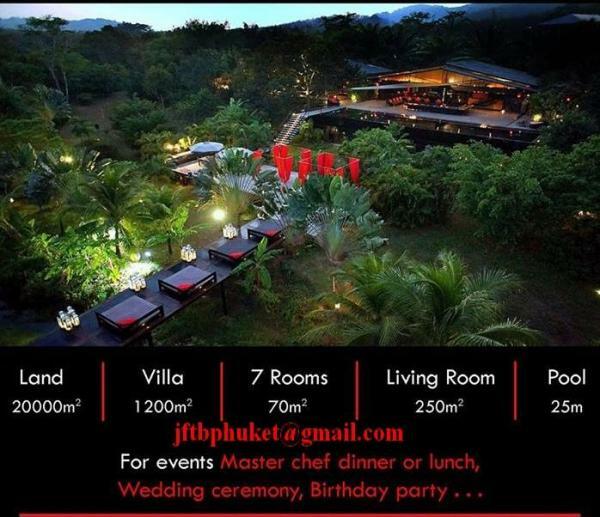 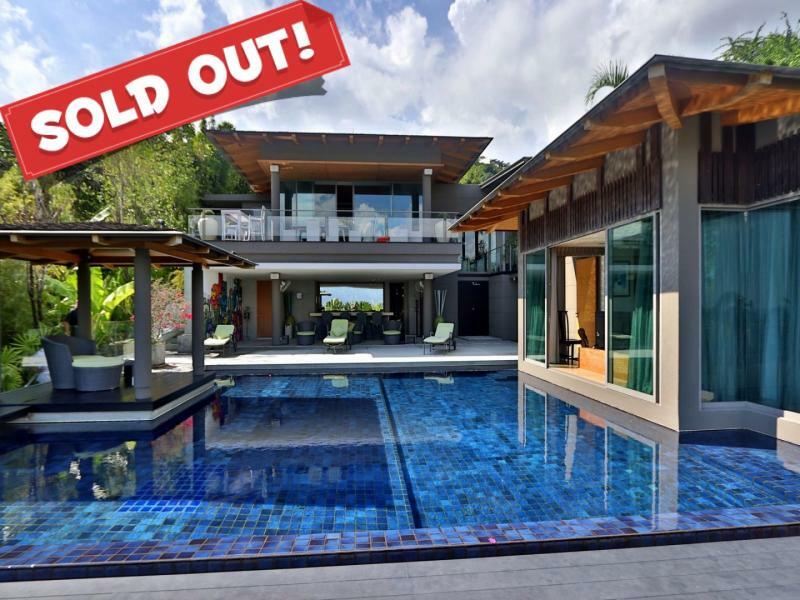 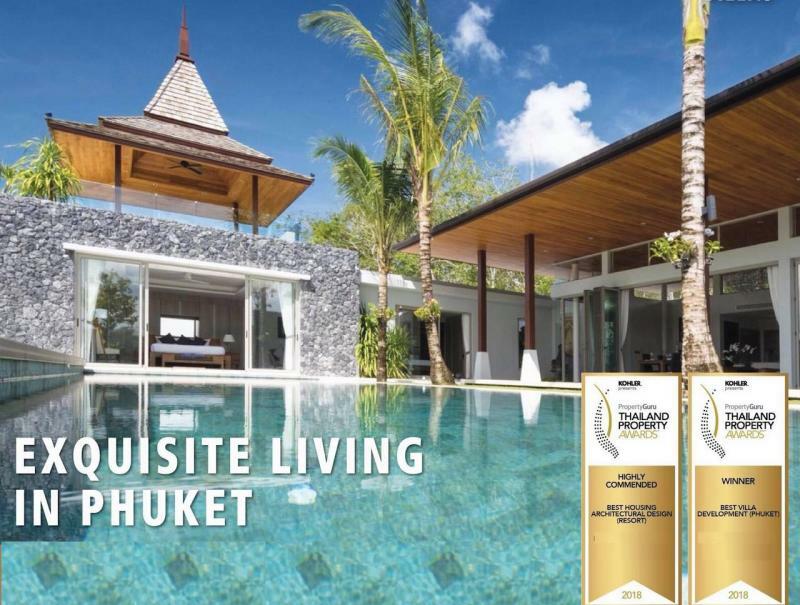 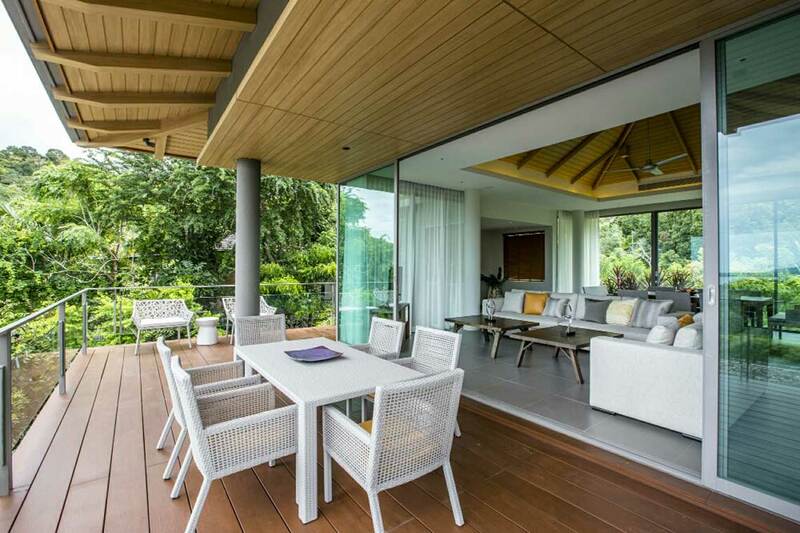 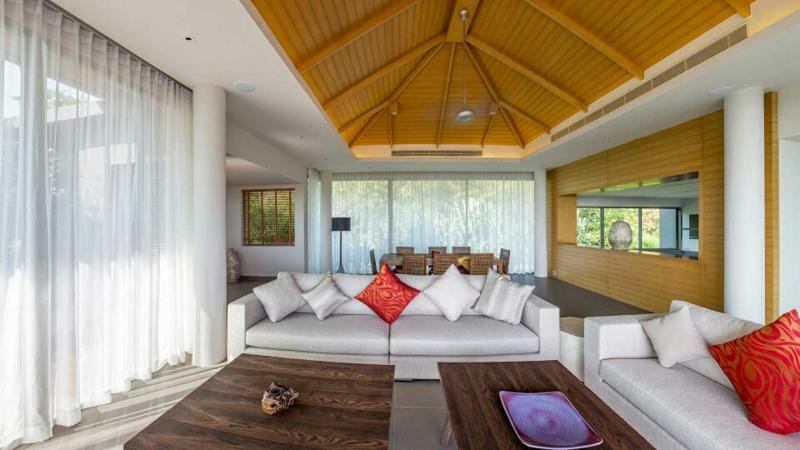 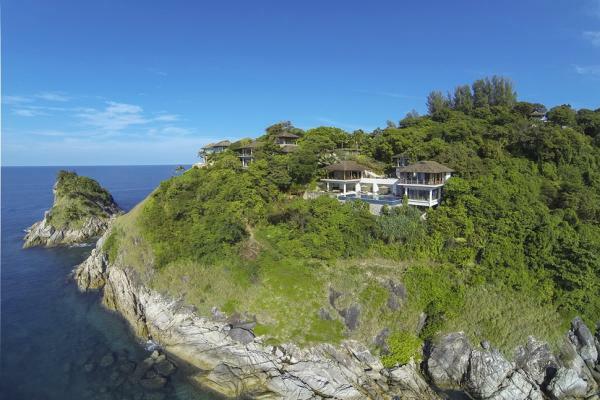 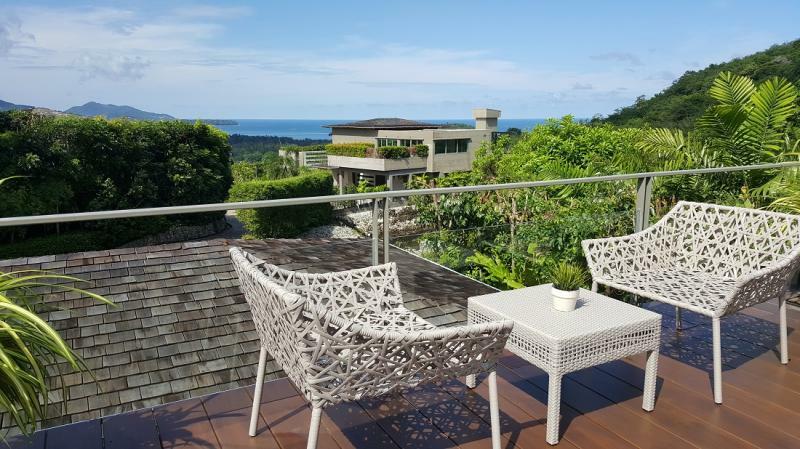 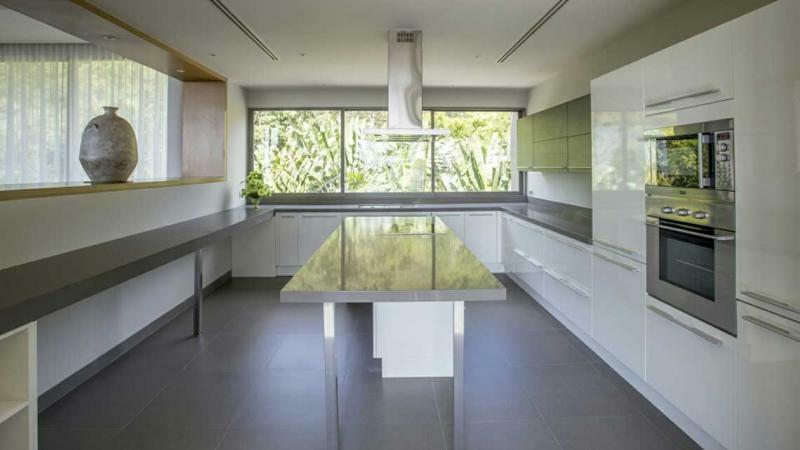 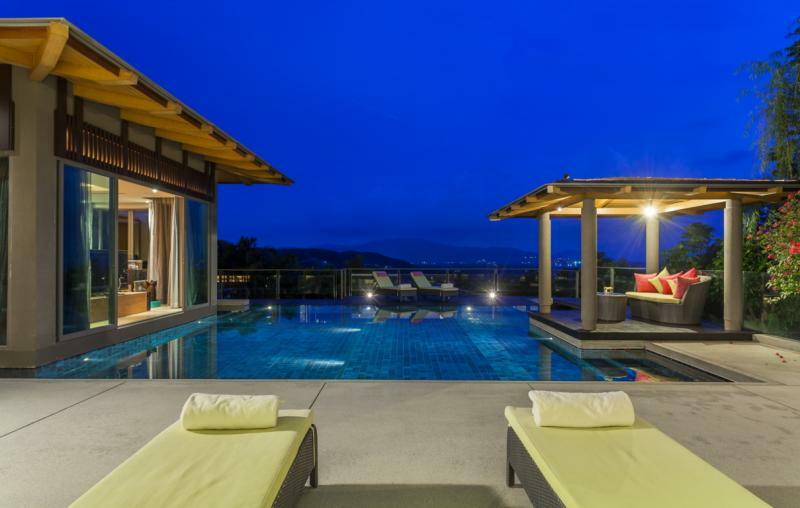 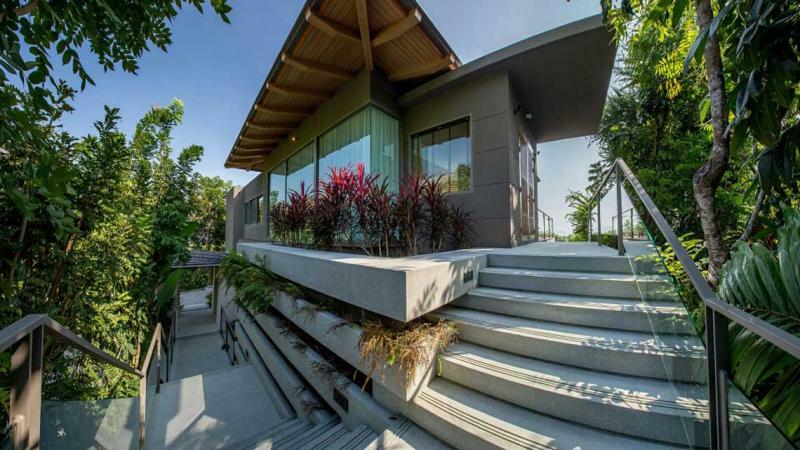 Phuket High-end Luxury Sea View Villa in Layan. 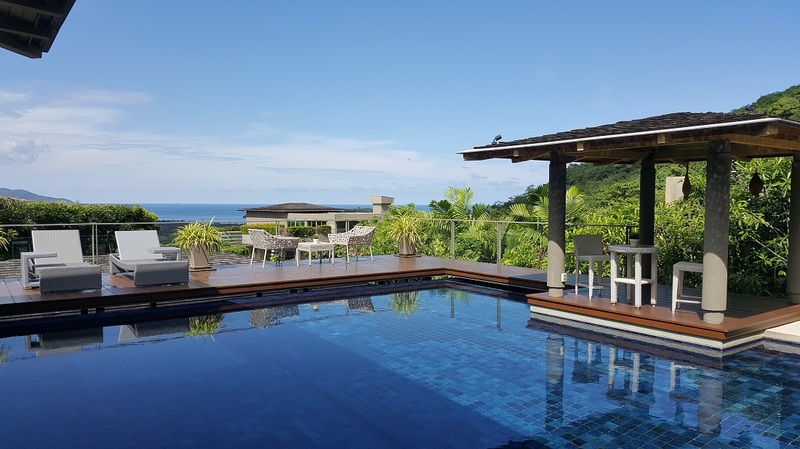 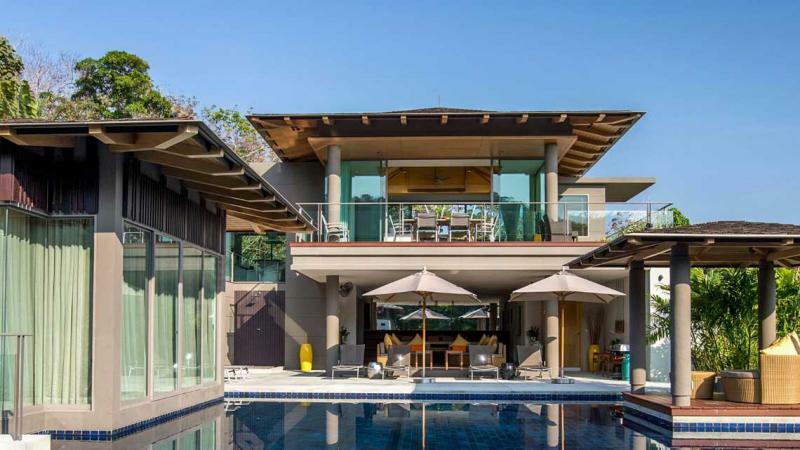 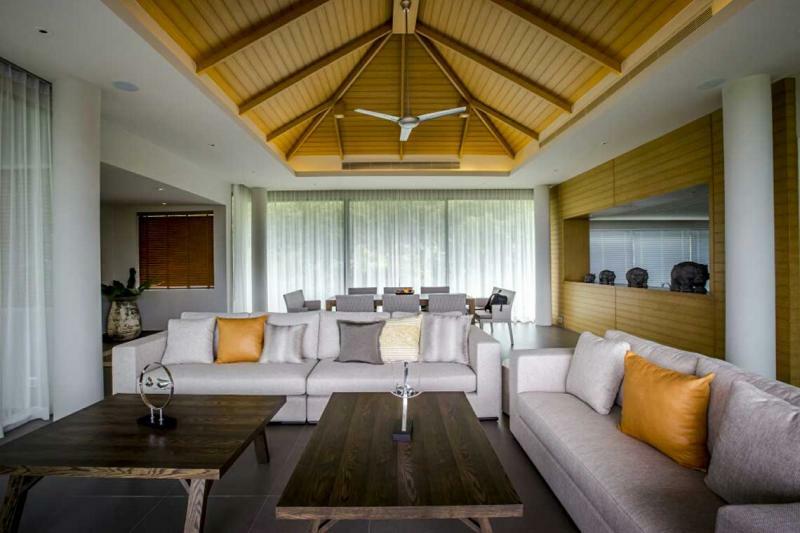 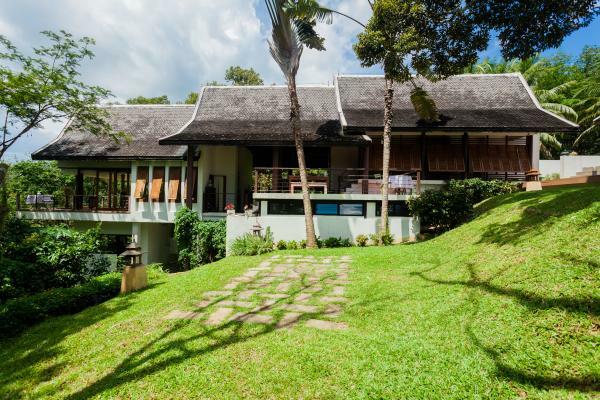 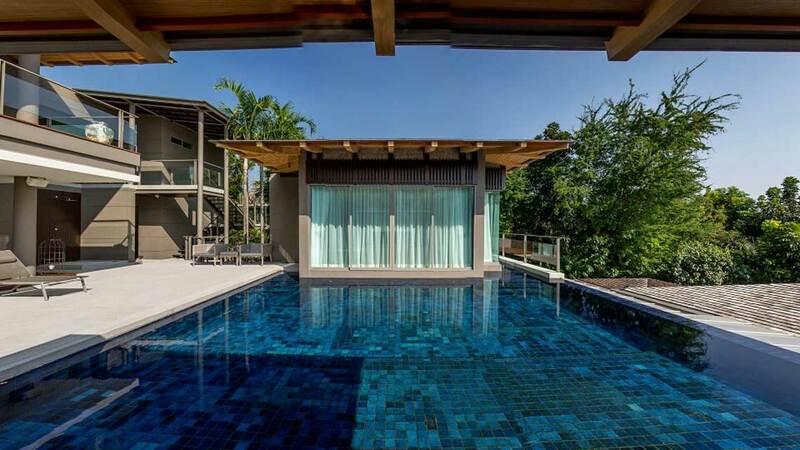 This 4 bedroom villa is a luxuriously fully furnished and modern designed pool villa, located in Layan, Phuket providing stunning Sea and Jungle views. 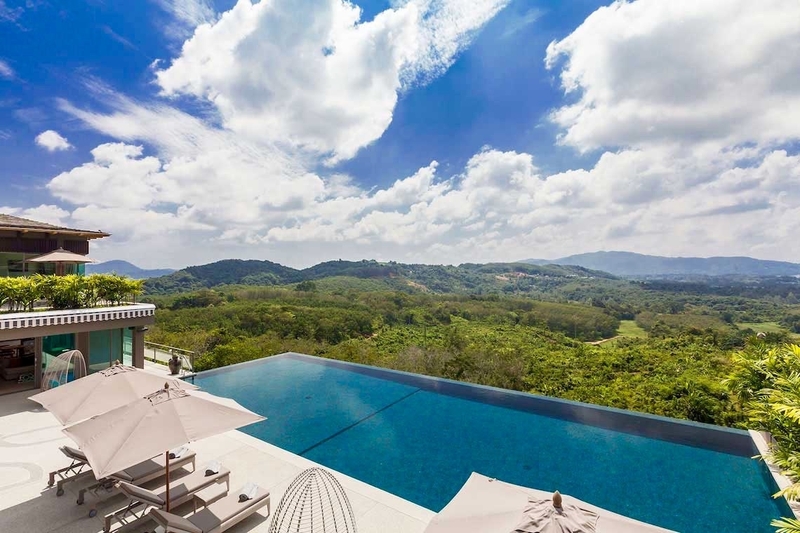 La Colline is a private sanctuary of private and hi end luxury pool villas in Layan, perfect for families or groups looking for the best Phuket holiday or home. 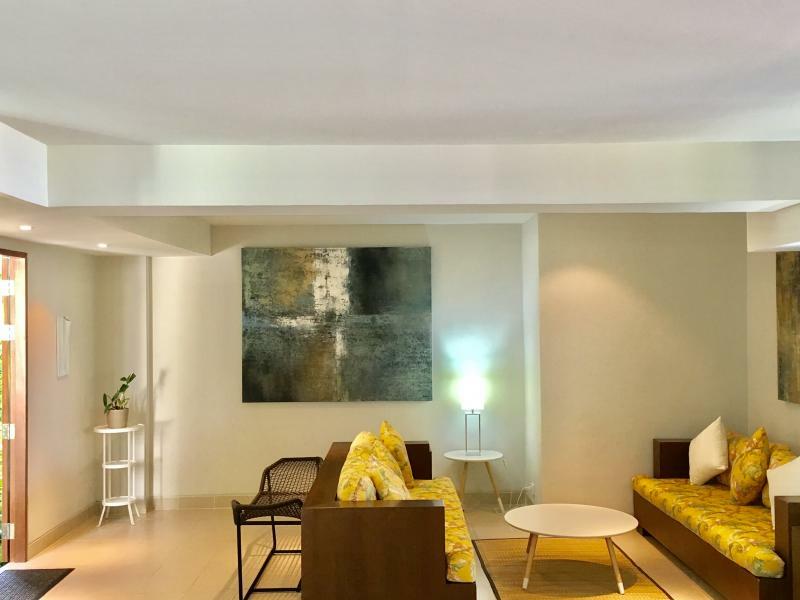 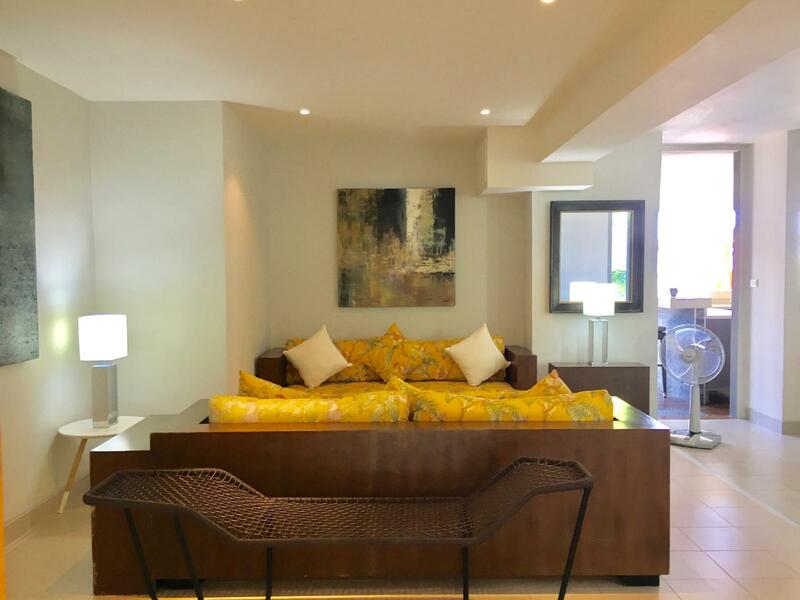 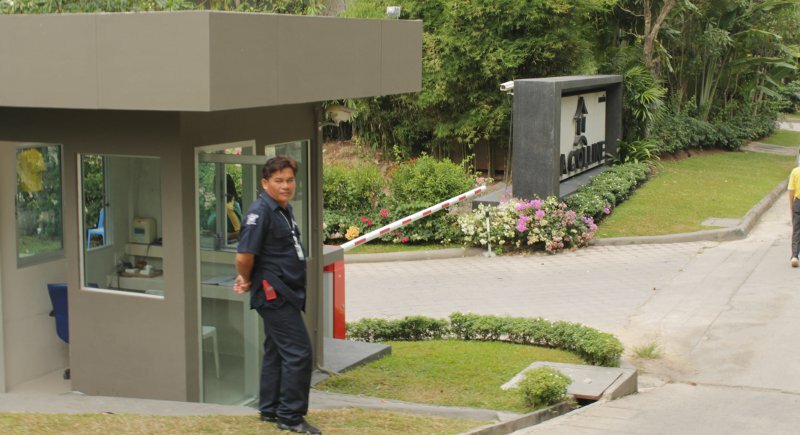 The "La Colline Villas" are all furnished with an exceptional high standard with pieces of Asian Artwork and modern contemporary furnishings to enhance the feeling that you are staying in your home, sweet home. 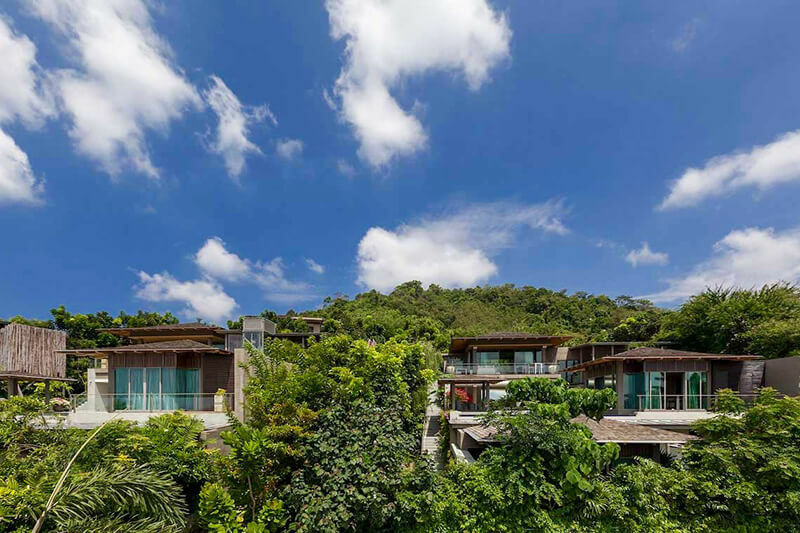 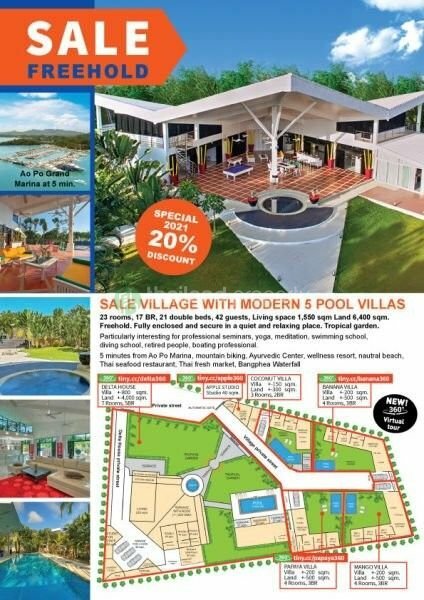 Prime and unbeatable area close to Layan village, bordering with one of the few National Parks of Phuket, this Property in Phuket overhangs Bang Tao Bay with a 180 degree view including also a Sea View and a deep valley covered with jungle ending a few miles away with a row of high green hills. 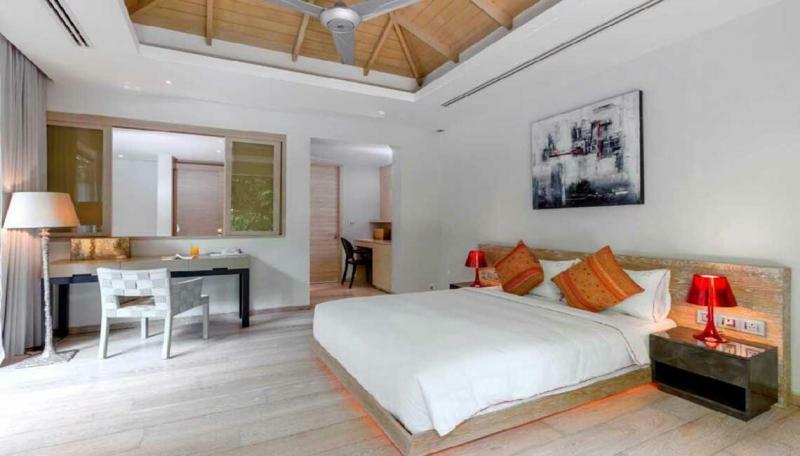 The master bedroom suite is accessed from the pool level and has a king size bed, desk, walk in wardrobe, TV console and a large ensuite bathroom with walk in shower and outside bath. 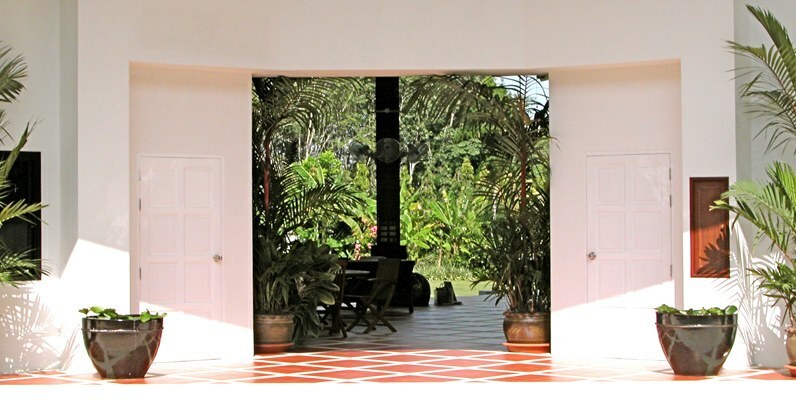 All doors have direct access to the pool. 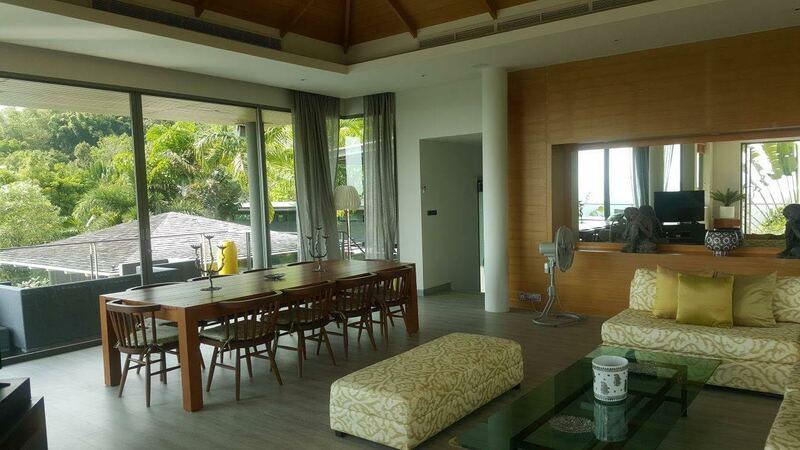 Downstairs are 3 further bedrooms. 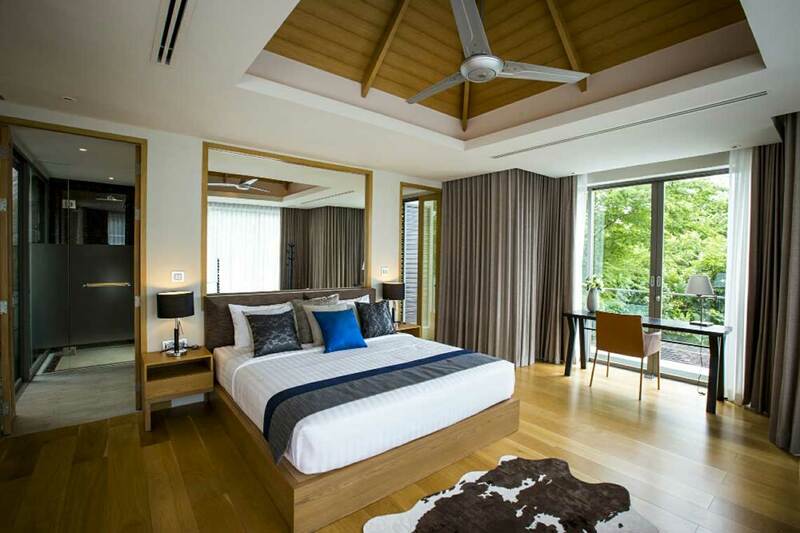 Bedroom 2 has a king size bed, desk, flat screen satellite TV, fridge, wardrobes and en suite bathroom. 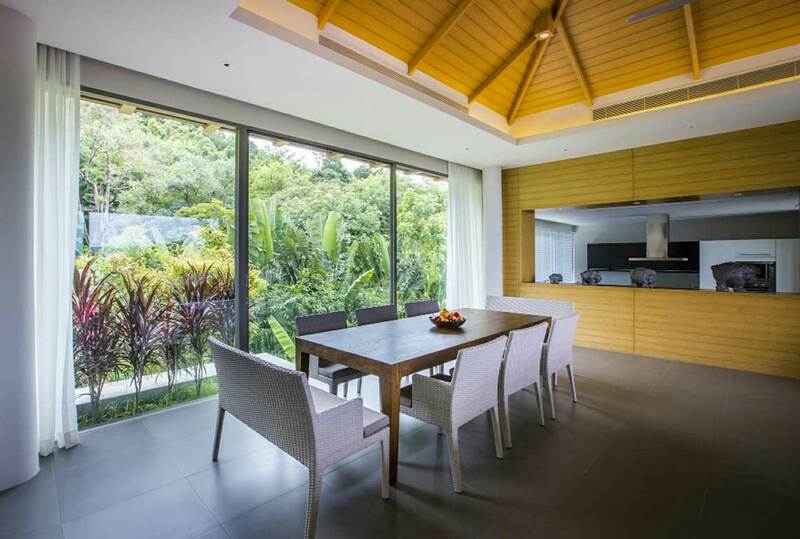 Patio doors open onto a covered terrace and to the garden with dining sala. 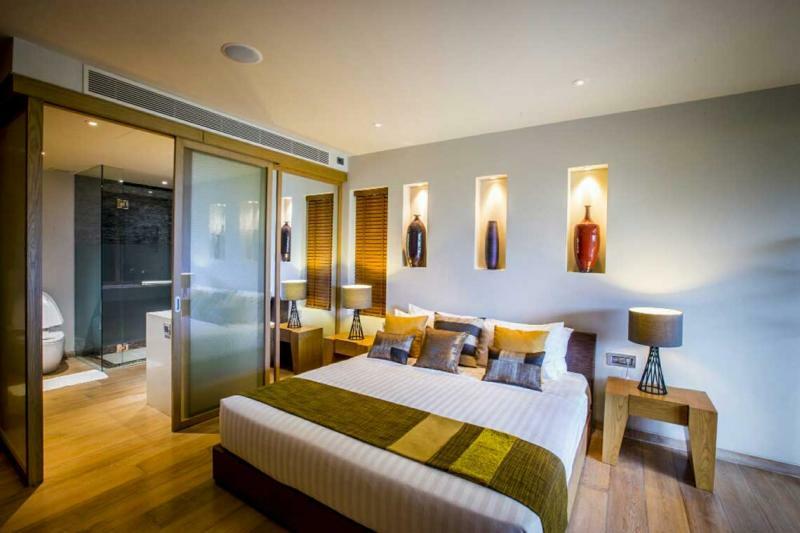 This bedroom suite is completely private. 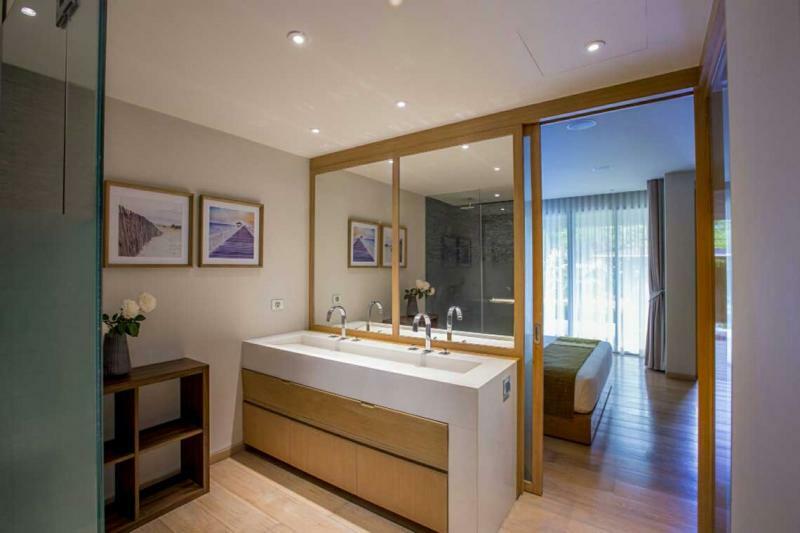 Bedrooms 3 and 4 have beds that can be either king or twin size, TV, desk, fridge, wardrobes and an en suite bathroom and both have doors opening onto a garden. 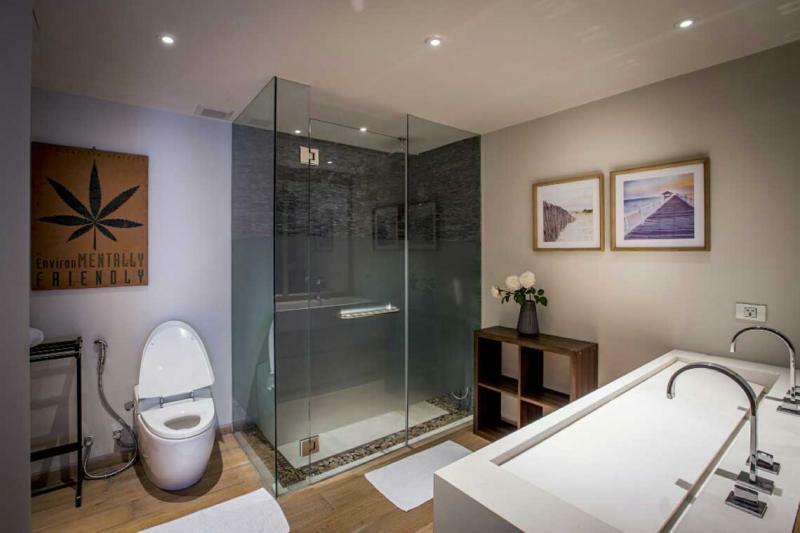 An another extra single bedroom is available with its own Bathroom for a maid. 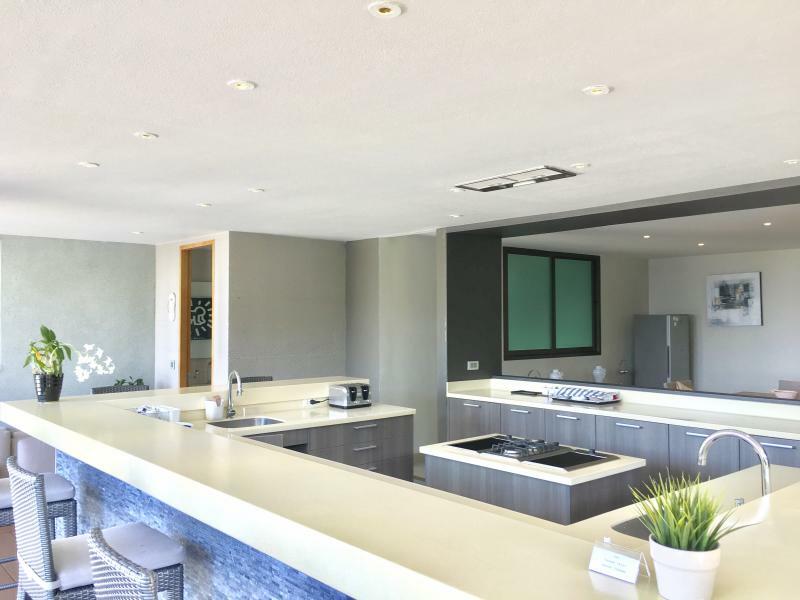 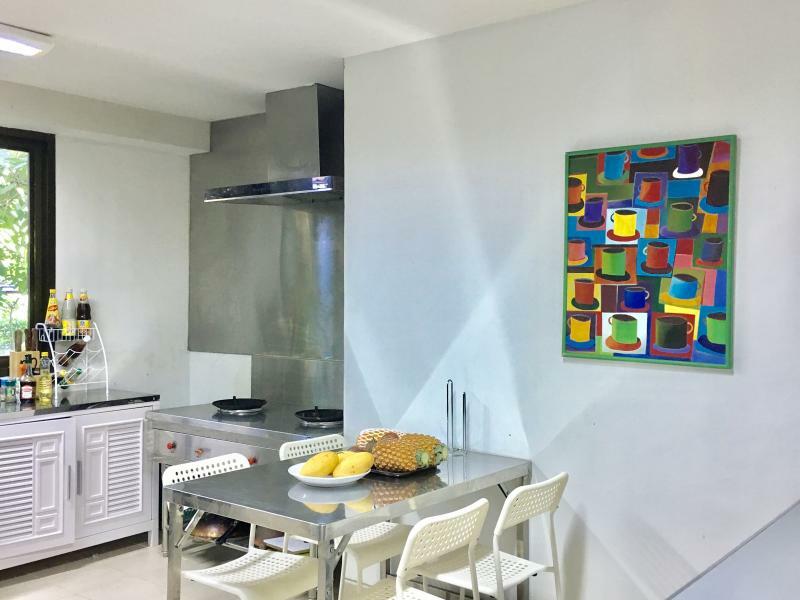 The top floor has a spacious living area with sofas, 48” flat screen satellite TV, dining table for 8 guests and a modern fully equipped western kitchen with top of the range appliances and cooking equipment. 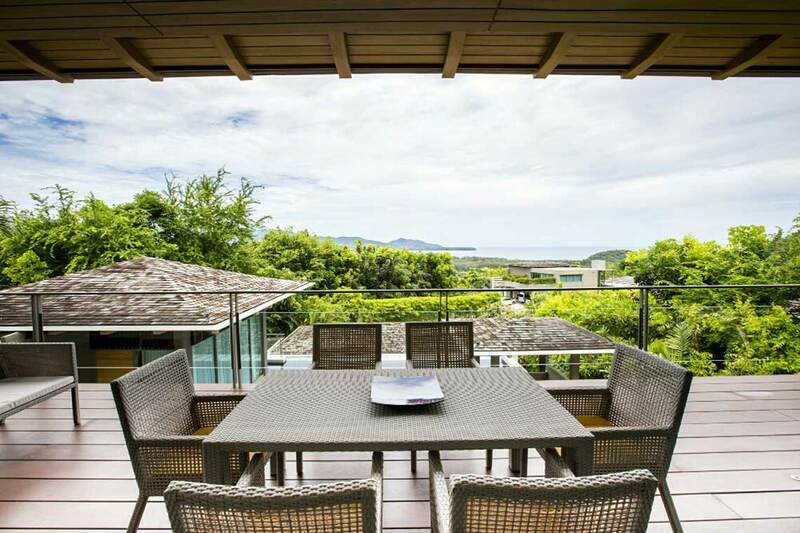 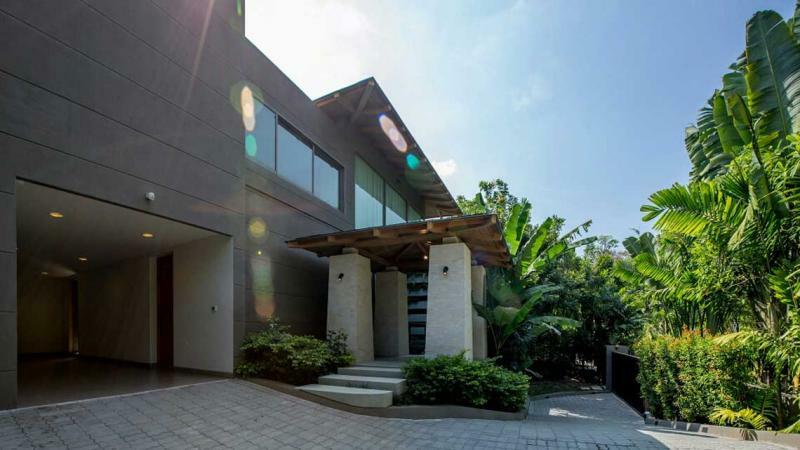 Large patio doors open onto the covered terrace providing amazing Sea and Jungle views. 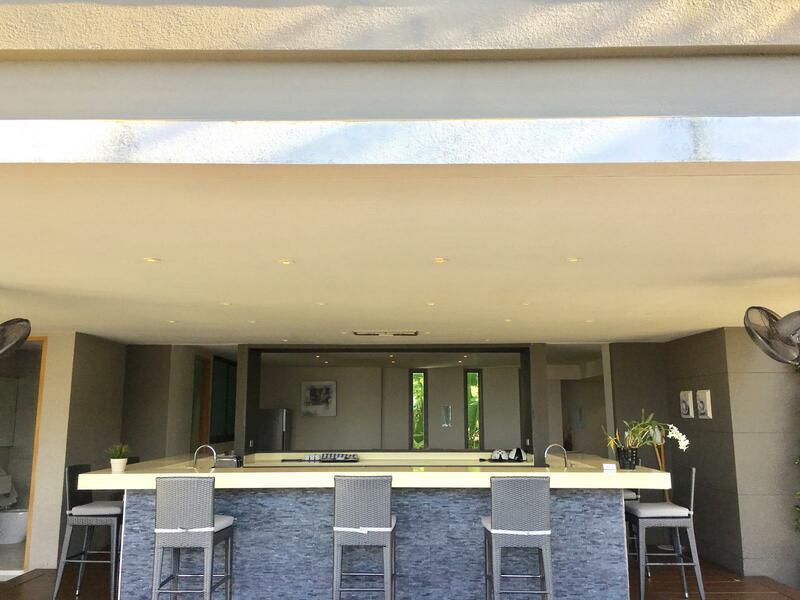 There is plenty of outdoor seating and a dining table, perfect for sipping cocktails before dinner and also a cloakroom on this level. 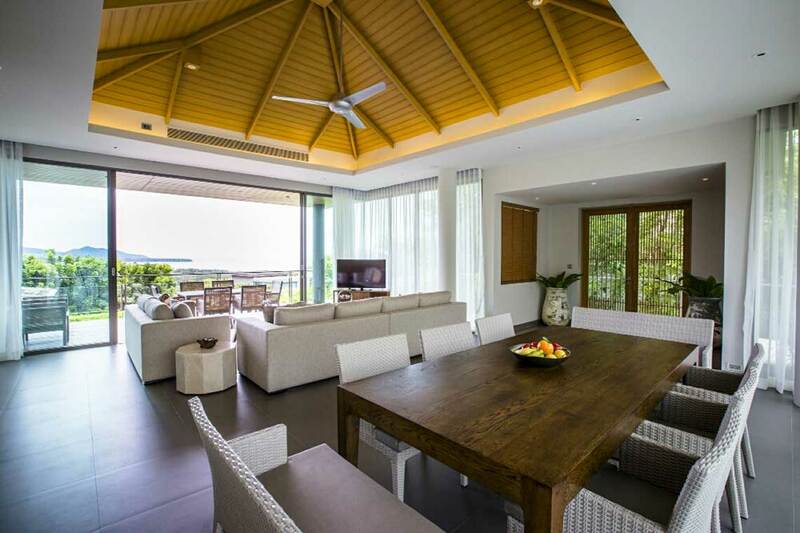 Returning to the entrance level there is a dining area and a Thai kitchen where a chef and staff can prepare your meals. 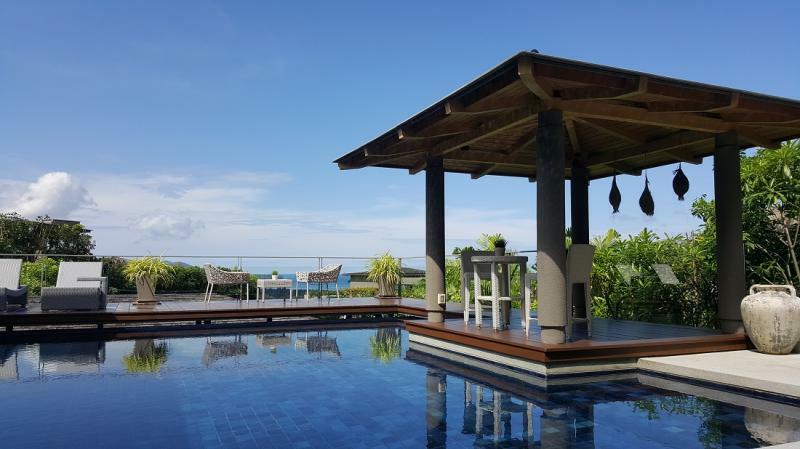 The pool terrace has sun beds, umbrellas, outside shower and a seating sala. 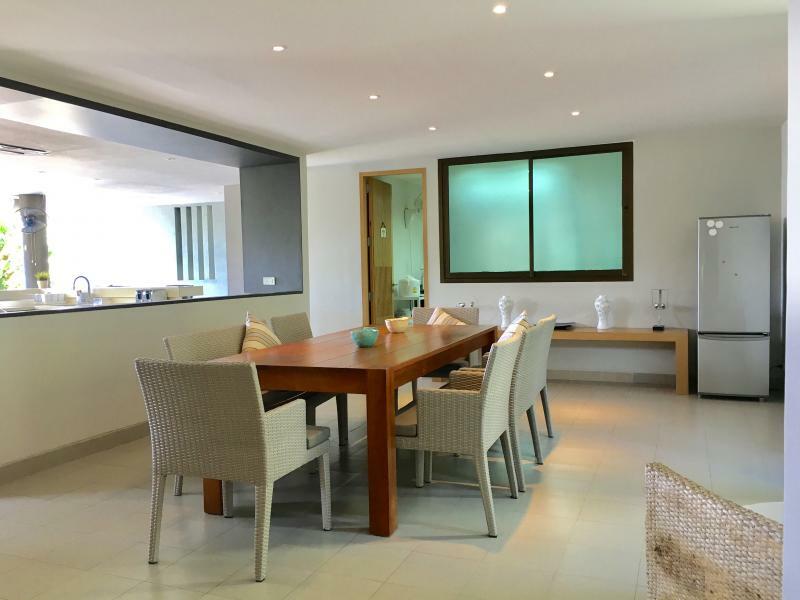 The villa is fully air conditioned and has internet access throughout.